Kicktipp: Es geht wieder los !! Auch dieses Jahr ist der SV Horneburg wieder mit seinem Tippspiel dabei. Meldet euch schnell an und werdet Tippsieger der Bundesliga Saison 2016/2017. 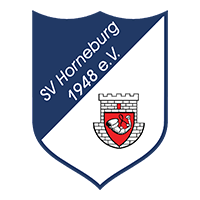 Für den Gewinner winkt ein Trikot seiner Wunschmannschaft, besorgt durch den Vorstand vom SV Horneburg. Wie ihr teilnehmen und beitreten könnt, erfahrt ihr hier. Hiya very cool site!! Man .. Excellent .. Wonderful .. I'll bookmark your web site and take the feeds additionally? I'm happy to find numerous helpful information right here within the publish, we need develop extra strategies in this regard, thank you for sharing. . . . . . Wonderful blog you have here but I was curious about if you knew of any message boards that cover the same topics discussed in this article? I'd really like to be a part of community where I can get opinions from other experienced people that share the same interest. If you have any recommendations, please let me know. Thank you! Its not my first time to pay a visit this web site, i am visiting this web site dailly and take nice facts from here every day. Your means of describing everything in this paragraph is in fact nice, every one be capable of without difficulty know it, Thanks a lot. I am really loving the theme/design of your site. Do you ever run into any web browser compatibility issues? A couple of my blog visitors have complained about my website not operating correctly in Explorer but looks great in Safari. Do you have any recommendations to help fix this problem? Hello everyone, it's my first visit at this web page, and article is truly fruitful for me, keep up posting these types of content.